So far I’ve been quite impressed with winter – it is certainly crisp but hasn’t been too miserable – is the worst to come I wonder? 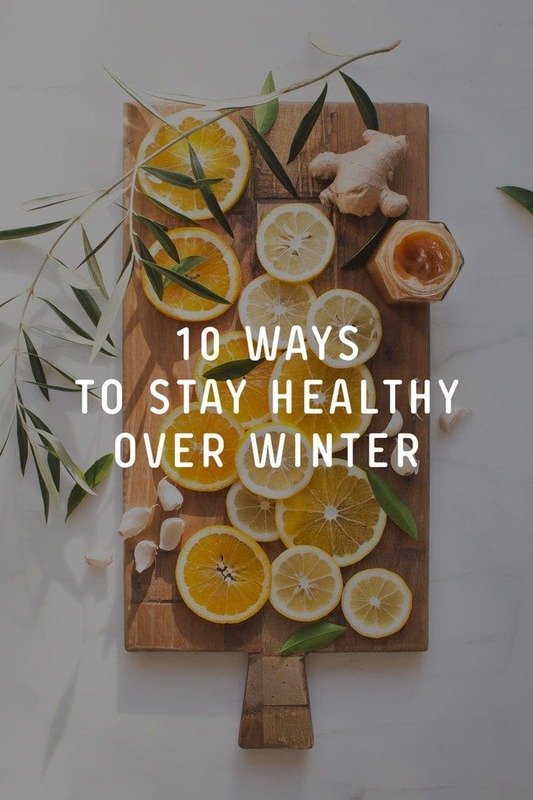 Today I have 10 ways to stay healthy over winter, with a plant-powered focus, of course! The key to a healthy immune system is to manage stress, sleep well, and consume a varied, nutrient dense whole foods diet. I’ve picked out a few key nutrients and a few key foods that may help boost your immunity over the coming months. Vitamin C is a critical nutrient for immune health, as it stimulates the immune system, helps improve host resistance to infection, works as an antioxidant and has an antihistamine effect . 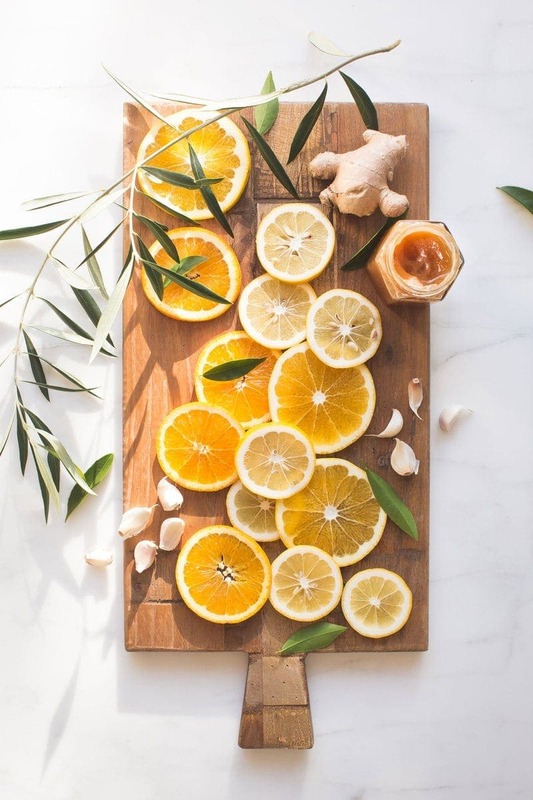 It is very quickly depleted during times of stress (in fact, your adrenal glands have the greatest concentration of vitamin C in the entire body! 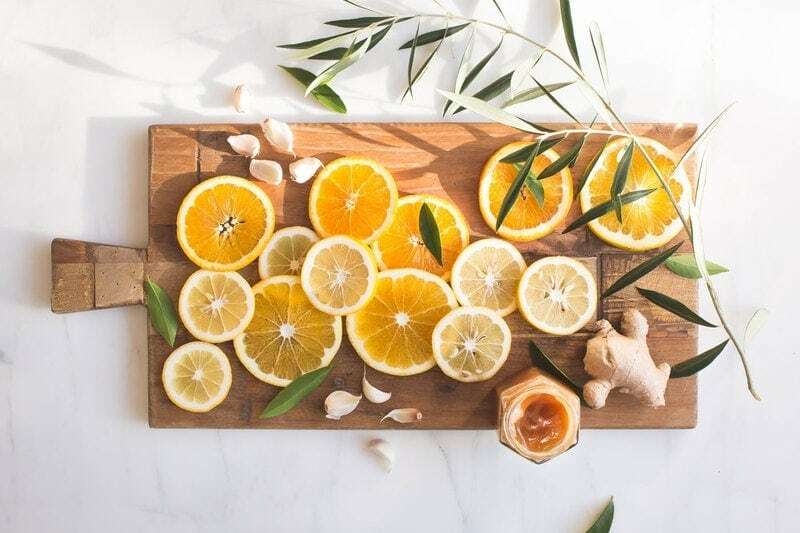 Vitamin C is used by the adrenals during the production of cortisol, the hormone released when the body is under stress), infection and chronic disease . We need to be mindful of intake as unlike animals, we cannot produce our own vitamin C. Great food sources include citrus, kiwifruit, strawberries, blackcurrants, pineapple, and red peppers. 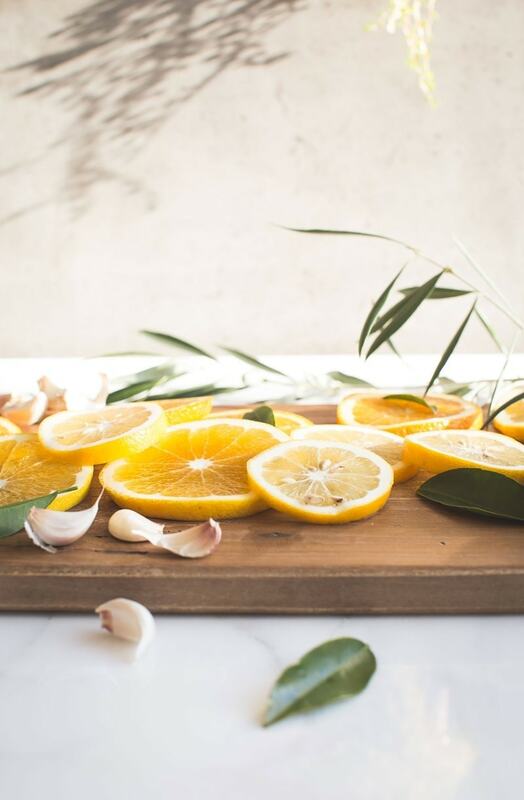 When eating citrus – cut away the skin but leave the white pith – it contains valuable bioflavonoids which help to promote the absorption of vitamin C.
Other good sources include broccoli, cauliflower, cabbage, Brussels sprouts, tomatoes and pawpaw. Vitamin C is extremely sensitive to heat, light and oxygen. Up to 100% will be lost due to cooking, and whilst winter is certainly a time for more warming and grounding foods, a small side of something raw and colourful with every meal will go a long way to keep your levels in check. Zinc deficiency is common in New Zealand (a quarter of the population aged 15 years + have an inadequate intake). Furthermore, vegetarians and vegans tend to consume less dietary zinc than omnivores. Considering zinc is perhaps the most important nutrient in immune health, we need to ensure our diets are well balanced, and our foods are prepared in the optimal way to enhance absorption. Zinc is vital for the normal development and function of cells mediating innate immunity, such as neutrophils (white blood cells that are the first-line responders to infection, attacking viruses and pathogens) and natural killer cells (another type of white blood cell that go after virus-infected cells and tumours). It functions as an antioxidant, preventing free radical-induced injury during inflammation , and has also been shown to exert some anti-viral activity . Zinc is more concentrated in foods or animal origin such as meat, liver, eggs and seafood. Oysters are the richest source by a country mile. Plant-based sources include nuts, seeds, legumes, whole grains, miso, tofu, mushrooms and green beans. Soaking, sprouting and fermenting are all traditional methods of food preparation that help improve the bioavailability of zinc. Vitamin A is a fat-soluble vitamin found solely in foods of animal origin: liver, red meat, eggs, fish, milk, butter and cream. However, beta-carotenes, the precursor to vitamin A, is abundant in plant-foods. Vitamin A plays an important role in maintaining the health of the mucosal membranes lining your digestive, respiratory and urogenital tracts. Mucosal cells form a protective barrier to infection; they secrete a substance called secretory IgA, which blocks the adherence of pathogenic microorganisms to the intestinal epithelium. Vitamin A also has a stimulatory effect on the immune system . Plant-based sources of beta-carotenes include green leafy vegetables, and yellow and orange coloured fruits and vegetables. Consume these foods with a healthy fat such as avocado, nuts, seeds or olive oil to improve absorption. For a beta-carotene rich meal, try this Nourishing Red Lentil Rosemary Soup. Vitamin D is thought to play a role in supporting the immune system. It has also been shown to reduce the frequency of viral upper respiratory tract infections . Vitamin D is produced by the body through sun exposure. Various foods (such as such as fatty fish, beef, liver, butter and eggs) provide some vitamin D but are an unreliable source. Deficiency is more prevalent during the winter months, with up to 50% of Australian women having an inadequate status . It is a good idea to have your levels checked before winter. Meanwhile, make the most of the beautiful weather and take an afternoon walk! Fermented foods such as sauerkraut, kimchi, kombucha, kefir and yoghurt are fabulous ways to introduce beneficial bacteria to the gut. Why is this important? Probiotic bacteria promote your defence mechanisms. They have been shown to enhance humoral immune responses and promote the intestine’s immunologic barrier . I always suggest aiming to incorporate some prebiotic rich foods in the diet alongside your fermented foods – as the fibres in prebiotic rich foods provide a fuel source for the beneficial bacteria. Good sources of prebiotic rich foods include oats, legumes, asparagus, garlic, onions, leeks and artichokes. All my favourite fermented foods are in one place here. We often forget that we have a medicine cabinet in our own pantries! Spices are some of the richest sources of antioxidants and have some wonderful therapeutic properties. In the cold of winter, spices that stimulate circulation are ideal as they help ensure nutrients in the blood are being delivered to all parts of the body. Think ginger, cayenne, rosemary and black pepper. Other warming spices include turmeric, cinnamon, clove and nutmeg. You may like to try this warming Coconut Quinoa Porridge recipe which has a good amount of ginger and cinnamon in it. Speaking of herbs and spices, raw garlic is a winter staple as it is so rich in antibacterial compounds. To prepare it therapeutically, peel and crush a raw garlic clove, allow it to breath for a little, then knock it back! The crushing of the garlic and exposure to air transforms the alliin component into the pharmacologically active allicin. The fantastic thing about garlic, is that it appears to have a high selectivity. This means that it exerts antibacterial actions against pathogenic bacteria, whilst leaving beneficial bacteria unharmed . 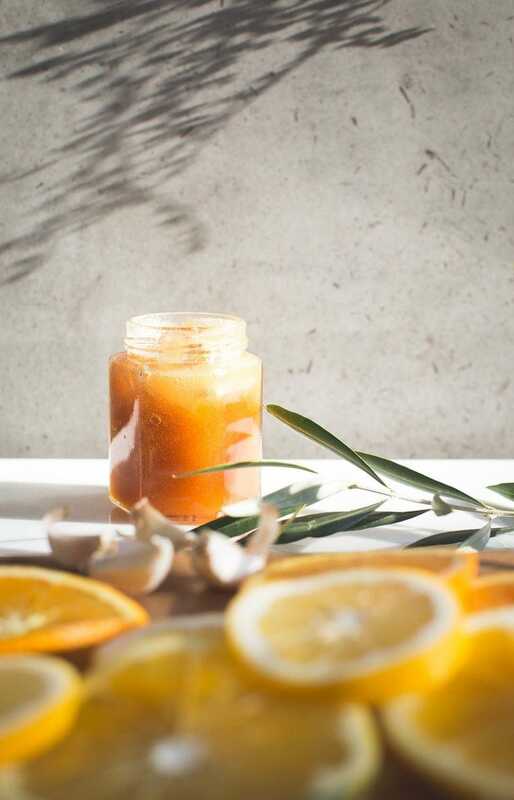 You can also take garlic daily by preparing an infused honey. Choose Manuka honey with a certified high UMF rating, for additional antimicrobial properties. Not only do these guys taste great, they contain immune-supportive polysaccharides that have been found in studies to improve human immunity and reduce inflammatory proteins . You may like to try this Cozy Creamy Mushroom Lentil Stew recipe, made with shiitake mushrooms. Olive leaf has a long history of use against viral infections – from herpes to the common cold . If you live somewhere rurally, you may like to try this: harvest a few large handfuls of olive leaves – branches and all, and break down into a manageable size. Bring a large pot of water to the boil, add the olive leaves/branches, and reduce to a simmer. After an hour, strain and enjoy the decoction. You might be surprised at how sweet it tastes! (Note – not recommended for city dwellers unfortunately as the trees will be absorbing pollution). Last but most definitely not least: stress has a profound effect on the immune system. A meta-analysis of over 300 empirical studies found that chronic stress was associated with the suppression of both cellular and humoral immune responses . When the body is under chronic stress (and thus under sympathetic nervous system dominance), there is a corresponding chronic production of hormones (the glucocorticoids aldosterone and cortisol, and catecholamines adrenaline and noradrenaline) from the adrenal glands. A 2012 study found that this chronic secretion of cortisol lead to a decrease in the sensitivity of immune cells to glucocorticoid hormones, that would normally down-regulate inflammation. This is problematic, as inflammation, left unchecked, can go on to promote the development and progression of many diseases . In the above scenario, the central nervous system is directly interacting with the endocrine and immune systems, having a negative impact on health. The flipside to this of course, is that remaining happy, free of stress, and under parasympathetic dominance, you will be sending quite different signals to your adrenal glands. In fact, a 2006 study found that pleasant stimuli such as alluring scents and pictures of loved ones resulted in a decrease in salivary cortisol, adding weight to the hypothesis that happiness positively affects immune function . More recently, a 2013 study found that happy people who actively pursued personal fulfilment and realisation of their potential, had a significantly decreased expression of proinflammatory genes . So perhaps one of the best way to support yourself during winter, or year-long really, is to find ways to balance your lifestyle and bring in a sense of peace. I’m personally a fan of daily meditation, but a simple mindfulness practice, breathing exercises or body scan can go a long way to help keep that sympathetic ‘fight or flight’ mode of the nervous system in the back seat. I’m sure there are many other things I could have added here, but that is a start! I’m curious to know what your own immune-boosting tips are? Prasaad, A.A. (2008). Zinc in human health: Effect of zinc on immune cells. Molecular Medicine, 14(5-6), 353-357. Isolauri, E., Sutas, Y., Kankaanpaa, P., Arvilommi, H., & Salminen, S. (2001). Probiotics: effects on immunity. The American Journal of Clinical Nutrition, 73(2), 444s-450s. Filocamo, A., Nueno-Palop, C., Bisignano, C., Mandalari, G., & Narbad, A. (2012). Effect of garlic powder on the growth of commensal bacteria from the gastrointestinal tract. Phytomedicine, 19(8-9), 707-711. Omar, S.H. (2010). Oleuropein in olive and its pharmacological effects. Scientia Pharmaceutica, 78(2), 133-154. Cohen, S., Janicki-Deverts, D., Doyle, W.J., Miller, G.E., Rabin, B.S., & Turner, R.B. (2012). Chronic stress, glucocorticoid receptor resistance, inflammation, and disease risk. PNAS, 109(16), 5995-5999. Barak, Y. (2006). The immune system and happiness. Autoimmunity Reviews, 5(8), 523-527. Fredrickson, B.L., Grewen, K.K., Coffey, K.A., Algoe, S.B., Firestine, A.M., Arevalo, J.M.G., … & Cole, S.W. (2013). A functional genomic perspective on human well-being. PNAS, 110(33), 13684-13659.